President Donald Trump’s attorney Rudy Giuliani admitted Sunday that the controversial 2016 meeting at the Trump Tower between his campaign and a Russian lawyer was to gather information on his opponent, Hillary Clinton. 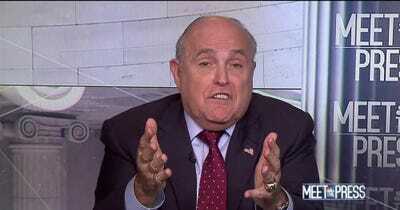 Giuliani sparred with “Meet the Press” host Chuck Todd over the meeting’s significance in the special counsel Robert Mueller’s look into collusion between the campaign and Russia in the 2016 election. President Donald Trump’s attorney Rudy Giuliani admitted Sunday that the controversial 2016 meeting at Trump Tower between Trump campaign officials and a Kremlin-linked attorney was to get “dirt” on his Democratic opponent, Hillary Clinton. 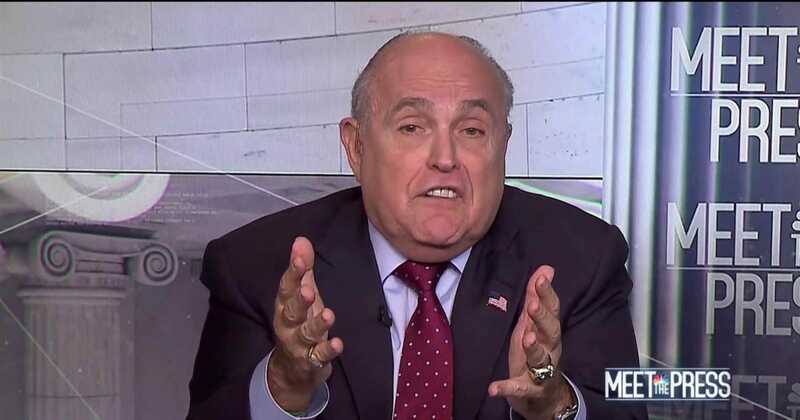 Appearing on NBC’s “Meet the Press,” Giuliani sparred with host Chuck Todd over what could count as collusion between the Trump campaign and Russia. “The meeting was originally for the purpose of getting information about Clinton,” Giuliani said. “Which in itself is an attempt at collusion,” Todd said. The initial explanation for the meeting was to discuss Russian adoption policy, and the White House’s statements on the meeting have changed over time. 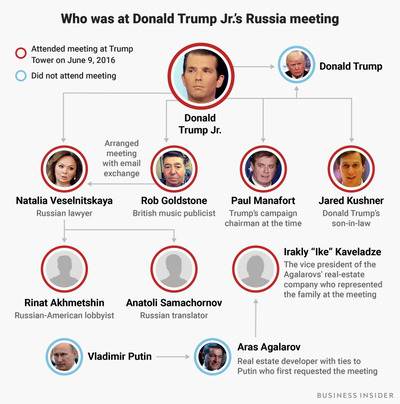 The meeting involvedNatalia Veselnitskaya, a Kremlin-linked lawyer, and Trump’s oldest son. 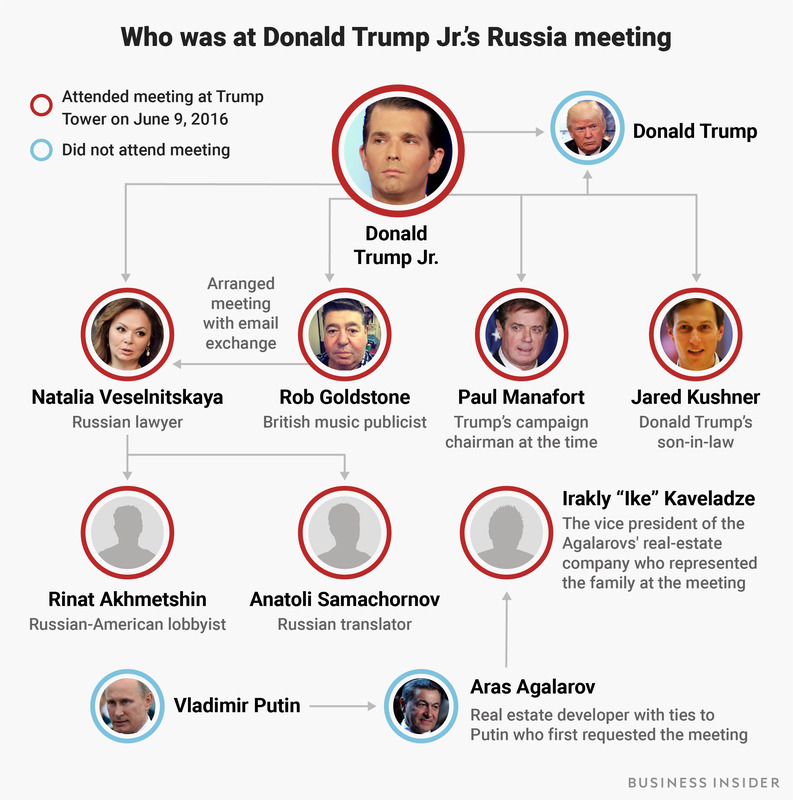 Donald Trump Jr. was one of three top Trump campaign officials, along with Paul Manafort and Jared Kushner, who met with the Russian lawyer and several other Kremlin-linked individuals at Trump Tower in June 2016. He said Trump didn’t know the meeting was going to take place. “If this is their case for collusion, good luck Mueller,” Giuliani continued, referring to special counsel Robert Mueller, who is investigating Moscow’s interference in the 2016 election and the Trump campaign’s possible coordination with Russia. Trump’s acknowledgment raised new questions on the extent of Russia’s attempts to influence the election, including any legal or moral obligation for his campaign to submit offers of foreign assistance to authorities. Trump has continued to rail against Mueller’s probe as a “witch hunt,” tweeting before Giuliani’s appearance Sunday to compare the investigation to Sen. Joseph McCarthy’s tirade exposing communists in the 1950s.